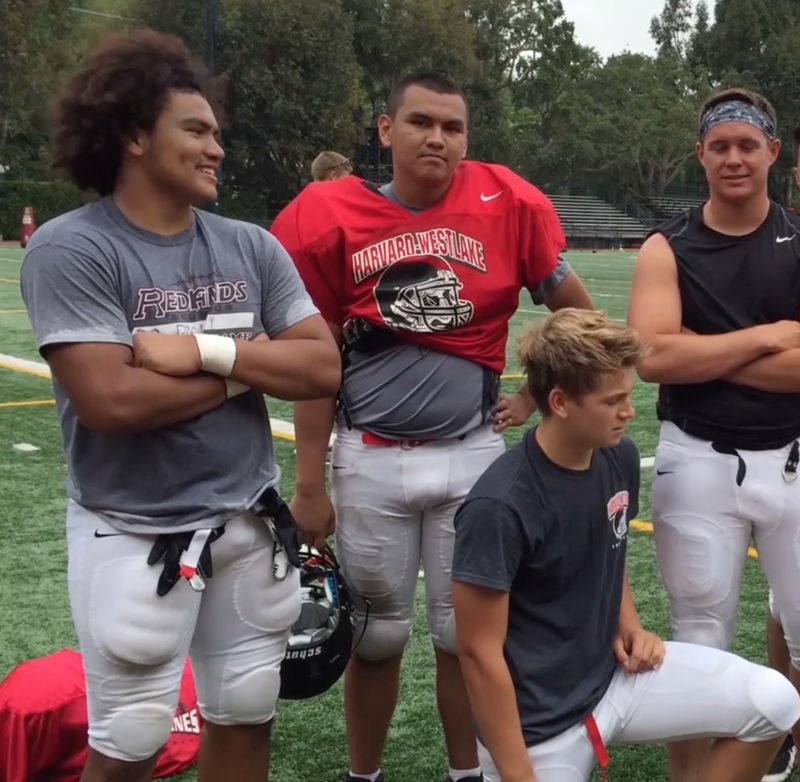 The Harvard-Westlake football team is undersized. Especially at offensive line. But team caption, defensive end, and right tackle Eric Bradley ’16 explains the Wolverine strategy that helped the team become Angelus League co-champions. “Since we are smaller we try to beat a lot of teams with speed and endurance… so even though they are bigger and stronger than us, they can’t keep up with us for four quarters,” Bradley said. The Wolverines defeated the Mayfair Monsoons, 13-12, in the first round of the CIF Southern Section playoffs, and will host the La Serna Lancers Friday in the second round.